Open-source offshore renewable energy is happening! Open Wave Energy Project (OWEP) is developing an open-source wave energy converter called iowep. 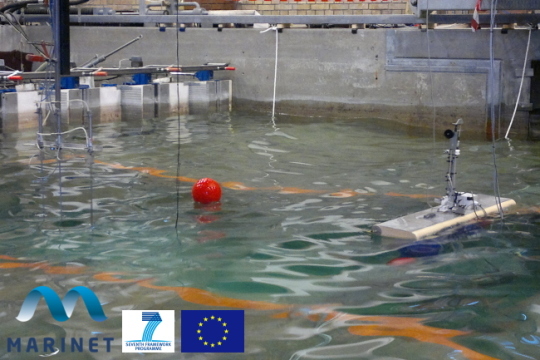 They have already completed scaled tests at Aalborg University as part of the EU FP-7 funded MARINET program, and they plan to deploy a larger version in Norwegian waters. In the spirit of open-source, their website provides detailed descriptions, pictures, and videos of the iowep, allows access to their scientific reports including the results of their MARINET tests, and promises to publish data from future tests.